NASA 360 released a video about a week ago talking about new propulsion technology that could propel a robotic space probe to Mars in only a few days. To send a larger manned spacecraft to Mars, it would take about a month. That’s a lot better than the few months it already takes to send a space probe there. How is it done? Lasers. This video introduces the concept, but you have to go elsewhere to watch the full talk. Here’s the full talk in Seattle last year. There are several videos that cover different aspects of this topic. What do you think of this topic? Would you like to see this technology happen? Let me know in the comments below. Ever Seen a Rocket Stage Separation? Not Like This! It’s common to see video of rocket stage separations. Rockets have video cameras installed in them so you can watch the separation. Engineers use the video footage to analyse how well the separation happened, and to discover any problems. It’s very useful in failed separations. But take a look at this video of a UP Aerospace launch for NASA to launch the Maraia Earth Return Capsule. The following video focuses on the separation as viewed from outside the rocket. You can see slow motion, which is quite interesting. I’ve never seen a stage separation from that angle before. What did you think? New Horizons Glitch – Will We See Pluto? While the US was celebrating the Fourth of July, New Horizons was getting itself drunk. Well, there was a glitch. With just ten days to go until the encounter with Pluto, New Horizons shut down its main computer and the backup started up, putting the probe in safe mode. Safe mode isn’t unusual for space probes, but the timing isn’t very good. Well, it’s not so bad, because not many pictures were expected to be taken over the next couple days. However, New Horizons is 4.5 hours away, and any commands will require 9 hours (4.5 hours confirmation). If they can diagnose it quickly, then it should be working properly in the next couple days. If not, it could take a few days to correct. I really hope it’ll be corrected soon. I want my Pluto pictures! The Planetary Society has a very good write-up on this. 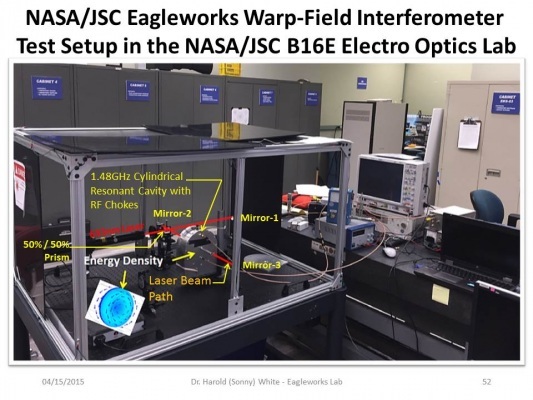 EmDrive – Has NASA Created a Warp Field? The latest news out of NASA is that the experimental EmDrive has produced some rather interesting results. While the propulsion system, which doesn’t run on any kind of fuel and produces microwaves to provide thrust, is highly experimental and very controversial, it’s created a lot of buzz recently. NASA did an experiment where they fired lasers through the resonance chamber to where the thrust comes from. It’s still unknown how it does it and where the microwaves come from. But the strange thing is that the lasers appear to travel faster than the speed of light through the resonance chamber. This means it may be producing something similar to a warp field. Crazy, isn’t it? Well, they need to be able to reproduce this in a vacuum, which is the next step of the experiment. If it produces the same effect, that is the lasers travel faster than the speed of light in a vacuum, then this may verify that faster than light travel may be possible. Of course, they’ll keep doing tests to see if they can get consistent results, and also to figure out what the heck is going on. This is all happening while there’s a strong push to search for extraterrestrial life, on Mars (which has had exciting results recently), on Europa, on Enceladus, and beyond the solar system. Even Ellen Stofan, NASA’s chief scientist predicted earlier this month that we’ll discover evidence of alien life by 2025. Also, in the past few years, we’ve seen the development of technologies such as tablet computers (PADD from Star Trek), teleportation of photons and information (transporter), 3D printers (replicators), the potential for 3D printing of food (food replicators), injections without the use of a needle (hypospray), and even the possibility of developing tractor beams, energy shields, cloaking devices, and more. Is Star Trek coming true? You know what I think? Gene Roddenberry was actually from the future. He came back in time to create Star Trek and plant the seeds of all those ideas in the minds of young people so they would invent everything from Star Trek and set in motion the whole Star Trek reality. What do you think about everything that’s going on? In Star Trek, the starships are all very elegant looking and quite beautiful. They just look really good. They are also advanced and have had a couple hundred years of history, so the designs tend to be more aesthetically pleasing. I’m designing a starship for Journey to Ariadne. I’ve made a sketch which looks a bit clunky, but I’m not entirely satisfied with it. I don’t want it to look beautiful. It shouldn’t look beautiful. It should be built for function, not form. Take a look at past forms of transportation in their first incarnations. 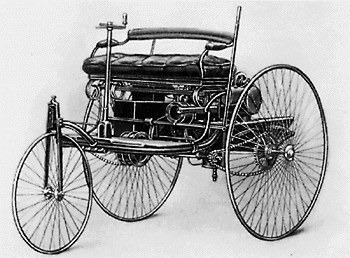 The first automobile, an 1885 Benz. 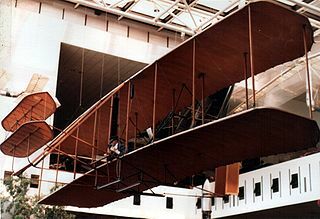 The Wright Flyer, the first airplane from 1903. 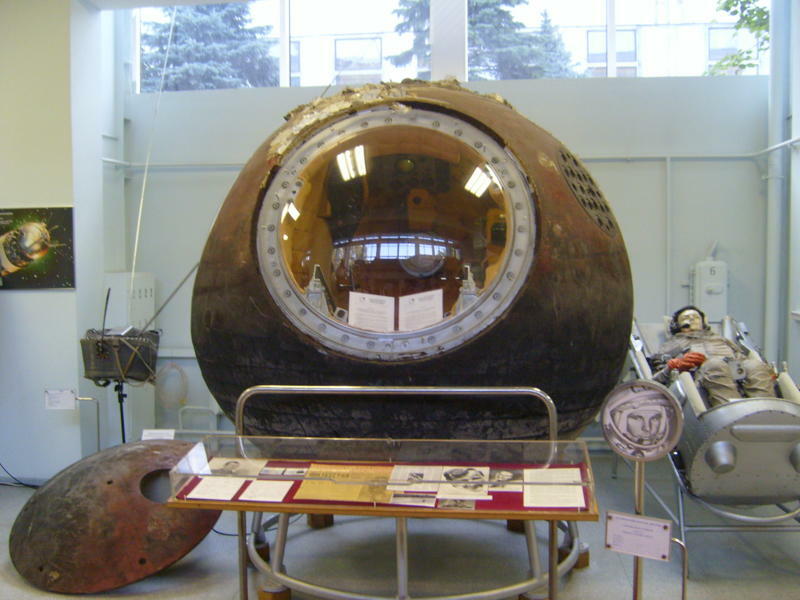 The Vostok I capsule that brought Yuri Gagarin into space in 1961. 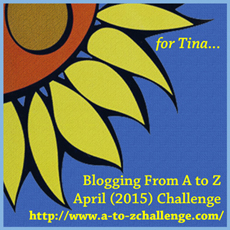 Photo taken by SiefkinDR and used under Creative Commons License. Notice a theme? None of them are particularly attractive. They weren’t built to look good. They were built simply to work. It’s only in the years and decades after that design became important (cars are now made to look good, planes are made to be aerodynamic and fuel efficient, and the space shuttle ended the utilitarian spacecraft era). So it’s only logical that the first interstellar spacecraft will look more like a collection of modules connected by a framework and various instruments extending from the main body. This is what I need to consider when designing a starship. Think about function first, then refine it a bit. I’m going to have one ugly spaceship. And it’ll be a massive one.